I get whiplash from all the health studies that are released… one week you can eat this and the next, oh, hell, no. It’s tough to figure out the stuff you should eat. Now, I take everything with a grain of salt, and learn for myself. Take the low fat diet. For years, I swallowed that line of BS but once I started getting educated, I learned that one obnoxious, egotistical dude in the 60’s was behind the entire low fat theory. Hammered hard for 40 years, now 50%+ Americans are obese. Go figure. Apparently, snack sales are on the rise. But not healthy snacks. Market research firm IRI reports that 59% of consumers say they indulge when snacking, up 3.1% since 2014. Salty, sugary, greasy and full of preservatives kind of snacks. The hypothesis of the rise in unhealthy snacks is that leeway the government allows with health claims about fiber content, energy benefits and “natural” products. In other words, a hoax to grab your dollars. 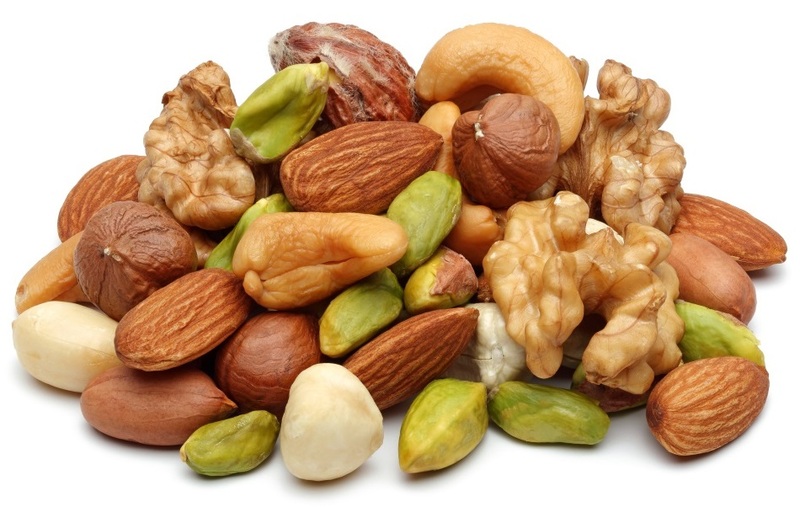 Enter the nut, a perfect snack and they grow on trees, not in labs. They’re portable, keep you full longer, and are high in protein and plenty of other nutrients. Purportedly, they’re associated with lower heart disease risk and the Journal of American Medical Association says almonds can help improve cholesterol levels. In a word, eggs are amazing. A complete protein, they are versatile for breakfast, lunch and dinner. And stuff you should eat — all that old talk about how eating them raises blood cholesterol has been debunked (read unscrambling the myths and truths about eggs). Eggs are convenient (a boiled egg can be packed in a backpack or purse), lower in calories (only 70), and provide a litany of good stuff your brain and eyes need to be nimble, like lutein and choline. Since our bodies need a variety of nutrients to function properly and maintain mental acuity, it behooves everyone to eat a wide range of vegetables and fruit to make sure we get enough of this fuel. Think that vitamin supplement will keep you checking those nutrient boxes? Think again. A recent study published in the American Journal of Clinical Nutrition revealed that of the 37,000+ female participants, multivitamin use was not associated with reduced short or long term risk of cardiovascular events. In 2012, a study found the same for men. So, unfortunately, that quick fix has been debunked and you’ll need to eat the rainbow of green, red, yellow, purple to give your body what it needs. In other news, the “apple a day” mantra has been dispelled… a study of 8,400 people found no significant difference between the health of non-apple eaters and those who eat one a day. Go figure.